Even though their mom was a therapist, my kids complained when they were little about seeing one. Looking back, I completely own that I probably didn’t present the whole thing very well. Ok I know I didn’t, because they thought they were the only ones who needed it (SO not true) and that it did nothing for them. They also still make fun of the way I broached the whole topic in, what they call, my “therapist voice” — which is apparently low and slow. They said I was “all dramatic” and “creepy” about the conversation. Live and learn right? 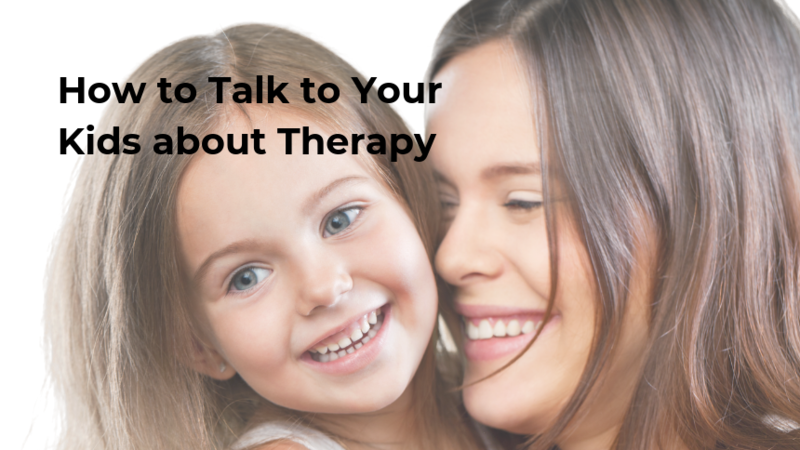 I know I’m not the only one who struggles when it comes to talking to children about seeing a therapist, because I’ve fielded countless calls where the question is just that: “how do I broach the topic with my child about coming to see you.” To hopefully help save you some grief, I’ve put together four simple tips. Validate their feelings. Let them know you hear them and that it’s normal to feel nervous/scared/ambivalent (however they are feeling). I mean let’s be real: talking to a complete stranger can be hard, especially for introverted kids. Frame therapy and the therapist as a coach. The therapist — much like a coach — supports and teaches skills for specific situations. And like any skill, it’s best to learn it earlier rather than later. The same holds true for psychological issues. The less time the brain spends in faulty thinking, feelings, and behavior patterns, the better. Do not use therapy as a threat or punishment. In that vein, don’t bring it up as an option when emotions are high. Sadly, I’ve seen many parents react in frustration and say things like “if you don’t get a handle on things, you’ll have to go to therapy.” Think about the message that sends. You better get yourself together or you’ll have to talk to someone, get support and learn skills? Too many people still believe that talking to someone to therapy means something’s wrong with you. That is not true. Here’s what is true: your child may already believes there’s something wrong with them, and now they definitely don’t want to get help, because you’ve just confirmed that seeing a therapist makes them wrong, weak, and different. Praise and reward their efforts after the appointment, because, seriously, they’ve just been very brave. Want to talk more about how you can best help your child? Contact me!